Spicebird is one of my most favorite Email client as it can fulfill all my other important needs like blog, RSS, Calender etc. 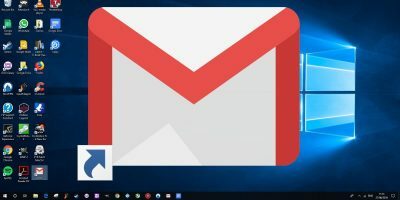 Here is a tutorial that will explain how to configure your Gmail and Google Apps mail account on Spicebird. Download and install Spicebird. After you start it for the first time, you will be asked to set up new accounts. If you have skipped it at the start, go to File -> New -> Mail/News Account. I will be adding a Google apps account. 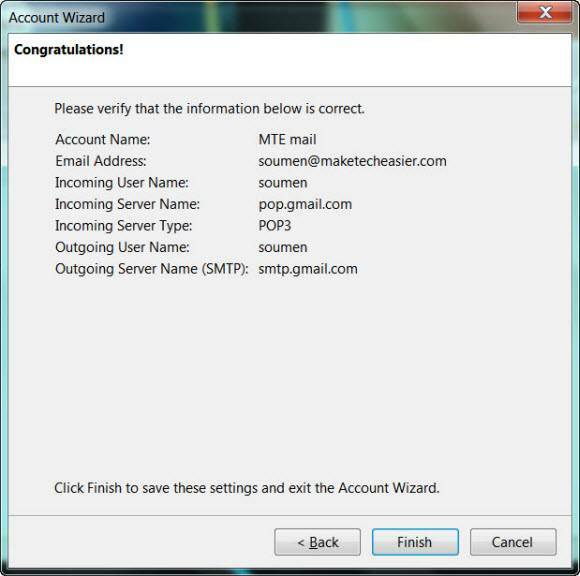 Follow the steps below to configure it for your account. 1. Login to your Google apps email account. Now go to “Settings”. 2. Now in the “Settings” page, go to the “Forwarding and POP/IMAP” tab. 3. In the “POP Download” section, select “Enable POP for all mail (even mail that’s already been downloaded)” and then press the button Save Changes. 4. 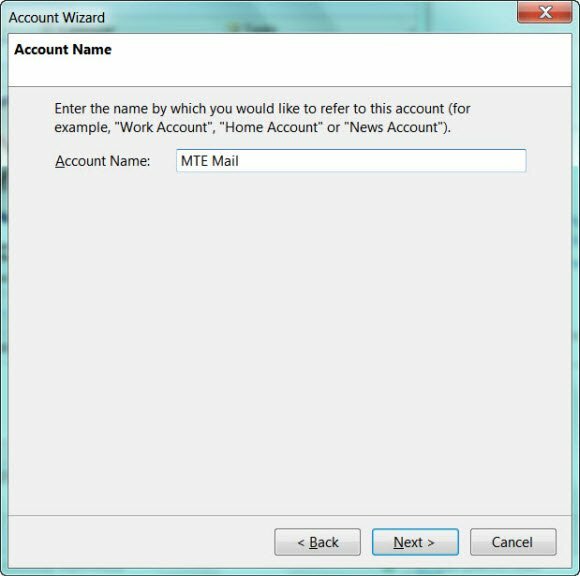 Now start the Account adding Wizard, select “Email Account” and press Next button. 5. Enter your name and email address and press Next. Select the type of incoming server you are using : POP. Now press Next to proceed. 7[a]. Now enter your usernames in the following window. Say your mail address is xyz@your_domain.com then your user will be xyz@your_domain.com. Press Next. 7[b]. Enter a name for the account. 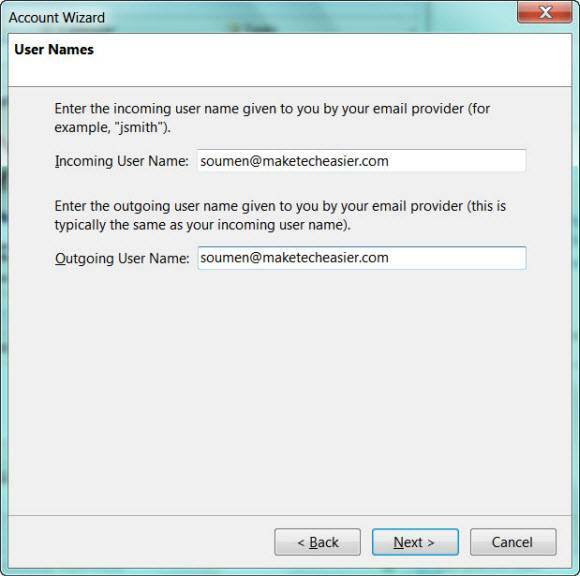 I will be naming it MTE Mail as this is my MakeTechEasier account. Press Next. 8. Cross check the details in the next window and press Finish if they are alright. 9. Now as the account gets created, go to Tools -> Account Settings. 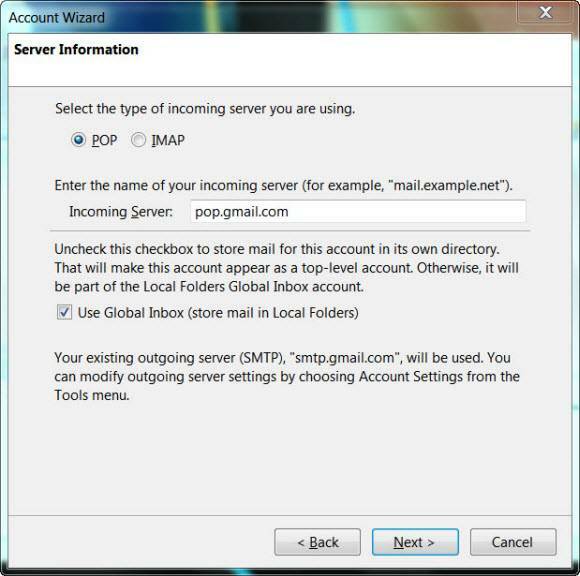 And click the item, Server Setting below MTE Mail in the left pane. Now make the necessary changes as shown in the screenshot below. The account is now successfully added to Spicebird. 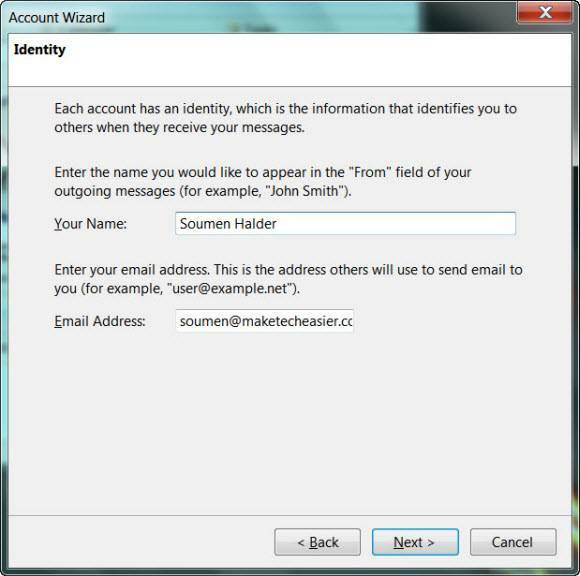 Now every time you wish to fetch mail from that account, Spicebird will ask for the password of the account. Provide the password and all the mails will be fetched. 1. I will be adding a GMail account now. Follow the steps below. Login to your Gmail account. Now go to “Settings”. Now in the “Settings” page, go to the “Forwarding and POP/IMAP” tab. 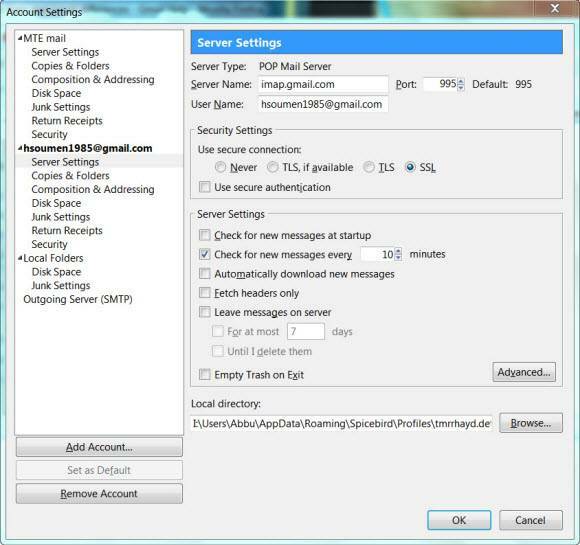 In the “IMAP Access” section, select “Enable IMAP” and then press the button Save Changes. 2. 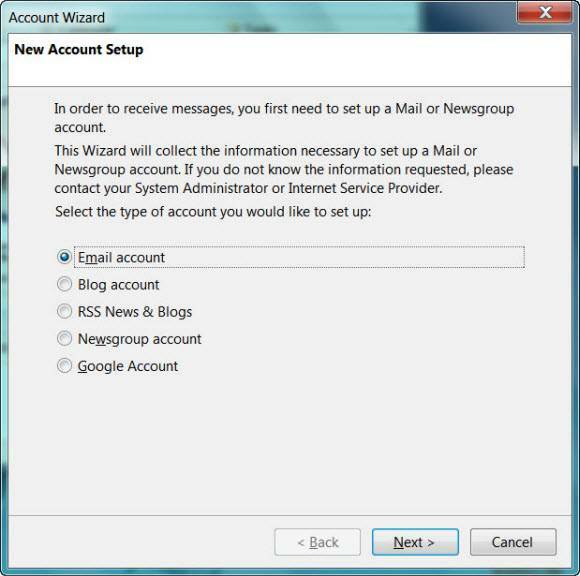 Open the Account Wizard, select Email account and then press Next. 3. Enter your name and email address and press Next. 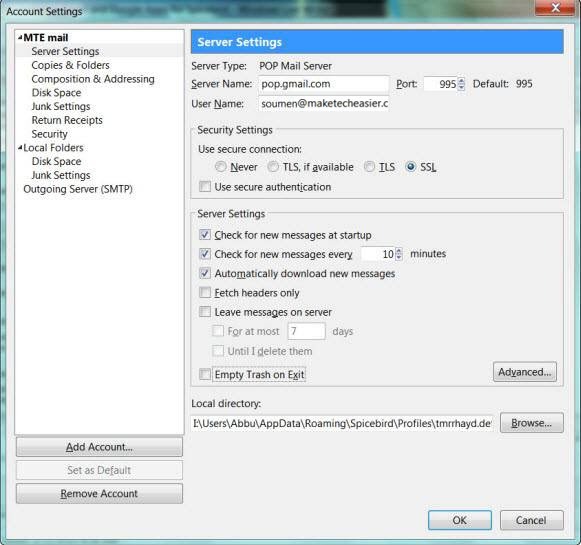 Select the type of incoming server you are using : IMAP. 5[a]. Now enter your usernames in the following window. Say your mail address is xyz@gmail then your username will be xyz@gmail. Press Next. 5[b]. Enter a name for the account. I will be naming it “hsoumen@gmail.com”. Press Next. 6. Cross check the details in the next window and press Finish if they are alright. 7. Now as the account gets created, go to Tools -> Account Settings. And click the item, Server Setting below “hsoumen1985@gmail.com” in the left pane. Now make the necessary changes as shown in the screenshot below. The account is now successfully added to Spicebird. Every time you wish to fetch mail from that account, Spicebird will ask for the password of the account. Provide the password and all the mails will be fetched. There is also an option to save your password. That is all, if you face any problems configuring your own accounts feel free to ask via comments. Spicebird is an interesting project. Can you be a bit more precise on the question. I mean You had mentioned Google Account…is that a Gmail account or a Google Apps account ?